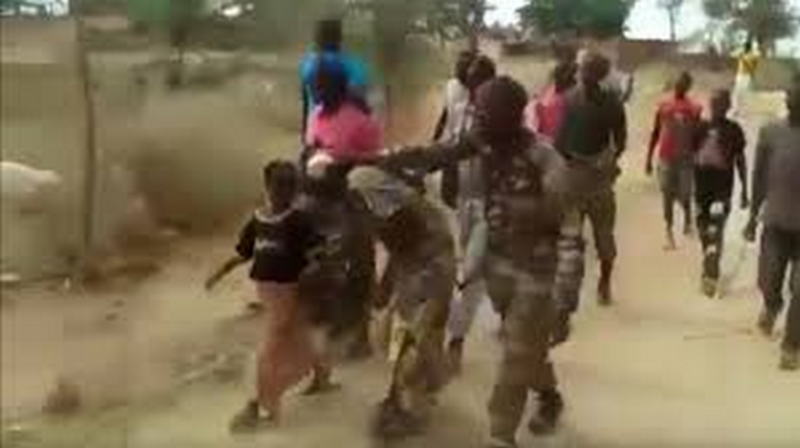 As a brutal video depicting grave human-rights violations by Cameroonian security forces make its rounds, it again is time to ask — why does the United States continue to support Cameroonian forces despite repeated allegations of abuse? The question likely is going to grow only more urgent in coming years as U.S. troops increasingly deploy not to fight, but to train, equip and support local and regional forces who fight on America’s behalf. International humanitarian law hasn’t quite caught up to this shift toward what we call “remote warfare.” But there’s risk that, in this era of proxy warfare, the United States could be held responsible for illegal conduct in operations its forces assist. In the spring of 2015 in the city of Zelevet, Cameroonian troops blindfolded and beat two women and their two children and then shot them. This is not the first time Cameroonian security forces have been involved in human-rights violations. In 2017, Amnesty International documented 101 instances of Cameroonian forces torturing people they suspected of supporting militant group Boko Haram. Between 2015 and mid-2016, U.S. security assistance for Cameroons’s counterterrorism efforts totaled more than $130 million. In 2015 there were around 300 U.S. troops at Salek Base, where the majority of the torture and illegal detentions took place, according to Amnesty. There are no witness testimonies or suggestions U.S. troops participated in the detention or torture themselves. Yet their collaboration with, and training of, Cameroonian forces — not to mention the Americans’ continued presence at the very base where so many were tortured — raises serious questions about U.S. responsibility. In fact, several former detainees reported seeing white, English-speaking individuals right outside the windows of their cells. Photos on a U.S. contractor’s Facebook page show American troops playing football with their Cameroonian counterparts. The building where the torture took place clearly visible behind them. Furthermore, the U.S. State Department itself warned of Cameroon’s abuses as far back as 2013. “The most important human-rights problems in the country were security force torture and abuse, particularly of detainees and prisoners,” the State Department reported that year. It’s hard to imagine U.S. troops deployed to Cameroon without any knowledge of the potential for human-rights abuses. It’s equally hard to imagine the Cameroonians tortured people at the same base where American forces resided, without the Americans at least suspecting something was amiss. As the United States more often partners with proxy forces, it must be clear about the risks of doing so. Courts might some day hold U.S. troops responsible for their partners’ actions. Megan Karlshoej-Pedersen is a research and policy officer at the Remote Warfare Program, a U.K.-based policy institute examining changes in military engagement, specifically the shift away from large-scale Western military operations toward light-footprint interventions.